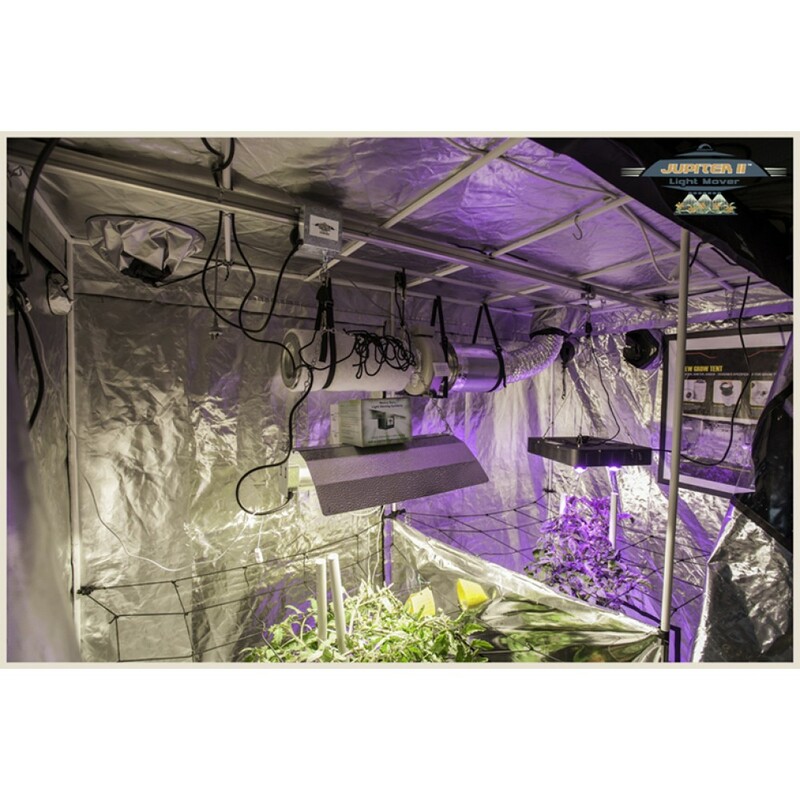 Tent 2.4.2 - Especially designed for a grow tent. 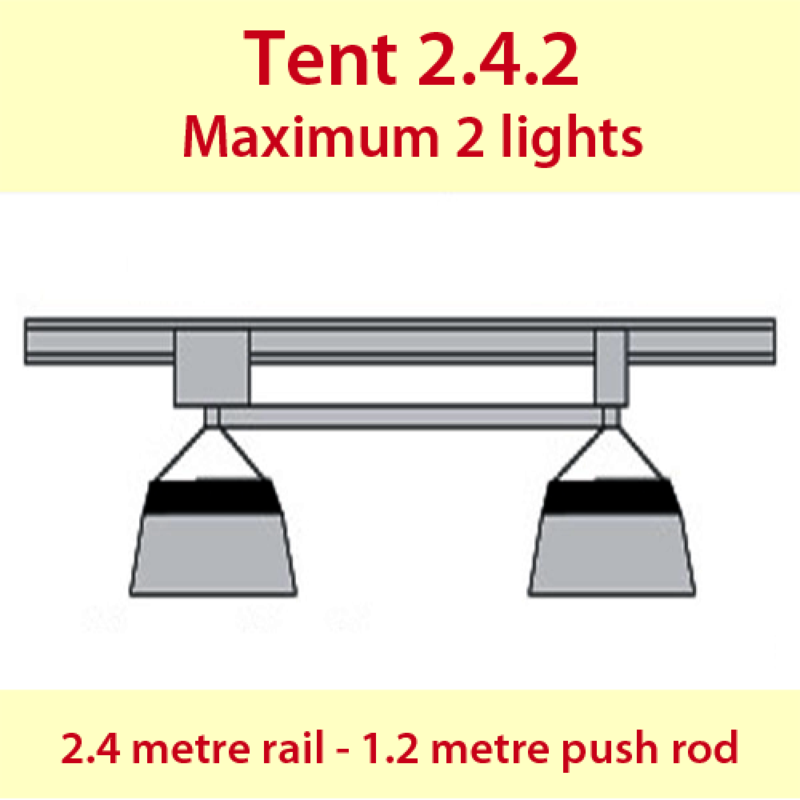 Suitable for 2 lights in line on a 2.4 metre rail. 1.2 metre Adjustabar pushrod kit with 4 eye bolts for hanging 2 lights from. Globes inline with motor rail. 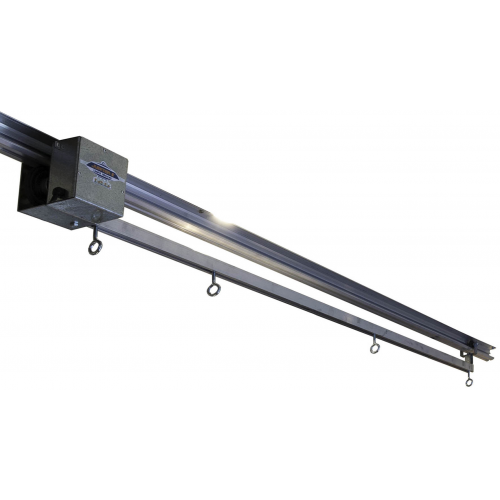 Prefer globes at 90 degrees to rail?